You know those special moments when you get to be a part of an amazing team? Those times when everything seems effortless and just “works?” Those times when collaboration happens with ease? When creativity flows and the end result exceeds all expectations? When something magical happens. Those times when everyone is 100% aligned on the same goal and there are no hidden agendas. That was my experience working with WRAL Digital Solutions. That was my experience working with WRAL Digital Solutions. If you have not experienced that sort of collaborative team, I truly want that for you. From day one until we launched in May 2018, the WRAL Digital Solutions team have been in my corner, propelling me towards success. They did not know me when we first met and they immediately made me feel comfortable, were enthusiastic about my new business and have done everything possible to set me up to succeed. They got to know me first as a person, then as a coach and only then as a client. But I never felt like a client; it always felt like a partnership. In our very first meeting the name “Coach Carol” was mentioned. Michelle jumped all over that; she said that it was perfect! We used it on the website and as my email address. She and the team used it in all their communications after that. In subsequent meetings they would greet me with, “Hello, Coach Carol!” I became “Coach Carol.” I think Michelle intuitively knew I needed to hear that. 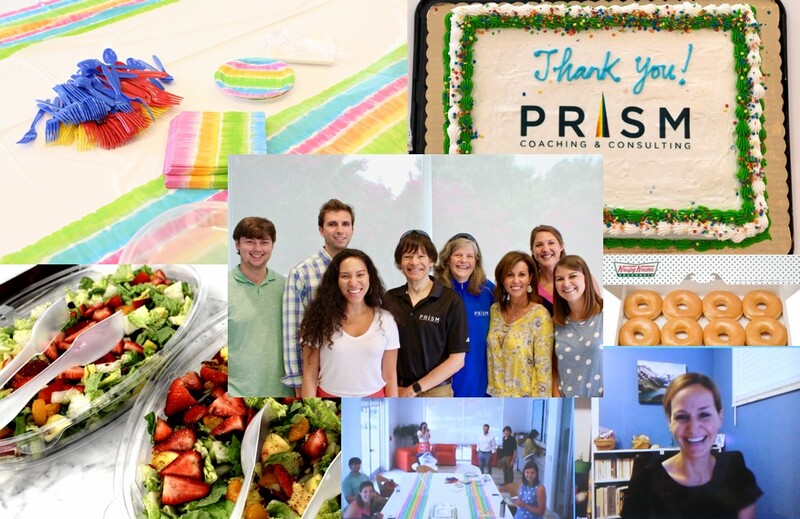 From the start they created a dynamic that would continue throughout our partnership: they always listened to my goals and desires, we had a conversation about what would be best for Prism Coaching, and then they applied their expertise to make those things happen. When something I wanted to do was not in my best interest, they helped me understand so I could make an informed decision. They have been invaluable guides for me in navigating the complexities of building a web presence. The end result is something that I am proud to share. WRAL Digital Solutions will, for me, always be the personification of true collaboration. The caring and compassion they extended to me has been humbling. Their no-pressure, yet highly productive style has made what was to me a daunting task approachable and ultimately do-able. The diversity of skills and experience possessed by the team—their technical know-how, their creativity, their ability to plan, organize, and efficiently execute the plan—has made every item on my wish list a reality. And the design of both the logo and website is exactly what I wanted—even though when we started the process I didn’t know exactly what I wanted. That’s part of the Digital Solutions magic. 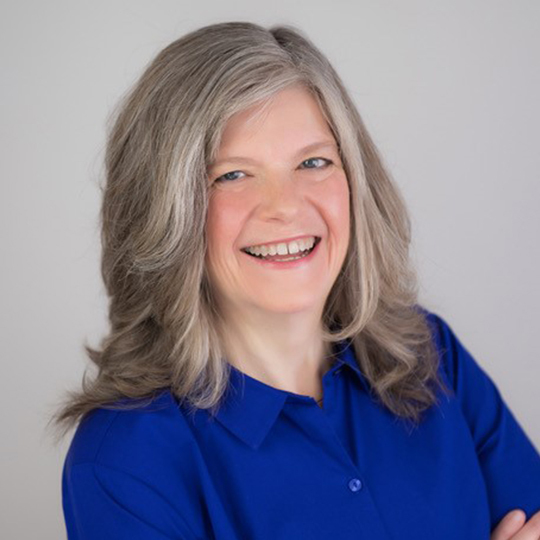 By getting to know me as a person, not just a “client,” they were able to get a sense of what I liked aesthetically; by understanding my goals as a coach they were able to get an idea of the functionality I would want and need from the website. With that groundwork laid, suggestions were put forward. I made suggestions; John made suggestions; each member of the team made suggestions. Some were immediately adopted, some were not, and some required additional consideration. But there were no “bad” suggestions; each idea helped to bring the final vision into focus. One example of this process was the design of the logo. Initially I told them what I thought I wanted and they created several very nice logos around that idea. After looking at them, and thinking about them, I decided to set aside my original idea and asked their creative team to be “set free” to design anything they wanted around the idea of Prism Coaching. In essence, I was asking them to start over. I felt bad about this but Parker made it a point to say that he and the team wanted this feedback. They delivered another set of logos. These were all exciting and creative and interesting and I could envision several of them serving me well. I asked for a few “tweaks” and, as before, they welcomed the feedback and delivered the “tweaked” designs. There were now a couple that appeared really promising and yet . . . I wondered if there was something even better. But I didn’t want to ask them start over again! John reminded me of the great collaborative team that wanted me to succeed; he reminded me not to settle for anything less than my dream. After much deliberation I asked for one more round of new logos—and there it was! The perfect logo for Prism Coaching! I am grateful to have met and been able to work with each member of this talented and amazing team—they are my internet dream team. There is also great comfort in knowing I have this dream team in my contact list when future needs arise. We say, they did do their job and so much more. They designed and built a beautiful website and they transformed a long-held dream into reality. Their ordinary moments of ‘just doing their jobs’ have created something extraordinary for me and I think they deserve to be celebrated! In addition to their technical and design talents, the “How” they did their job was also extraordinary—their way of being with each other, with me, with John. They were patient, thoughtful, collaborative, good listeners and always came with a ‘can do’ attitude. Their support was genuine and extended beyond the life of the project. At our party, I was apologizing for the number of times I iterated on the logo. I had felt bad about making them go through so many designs and design tweaks. Without missing a beat, Laney reassured me that the team understood it needed to happen the way it happened to get to the best result. She said that, even if the design I chose had been one of the first they delivered, they knew that it was important that I saw an array of designs—otherwise I might always have wondered, “What if . . . ?” And she said that the team was very happy with the final choice, too! We all agreed that it was worth the wait. A humble offering of doughnuts became our tradition at those project meetings. The memory of Chris and of our tradition serves as a reminder for me of how simple things in life can bring joy and, no matter what you are facing in life, joy can have amazing results. Last and by no means least, I want to tip my hat to Capital Broadcasting Company. I know amazing teams are empowered and created through a positive culture and good corporate leadership. Thank you Capital Broadcasting Company for being a shining light for our area. Here is a heartfelt Thank you! and hugs for the team: Parker, Laney, Michelle, Latisha, Jana, Nathan, David, and Hannah.